How To Accessorize Your Church Outfit ? Church outfits usually bring memories of dressy suits, long dresses, and hats and sometimes people run out of ideas on how to put together a church outfit to keep it interesting. 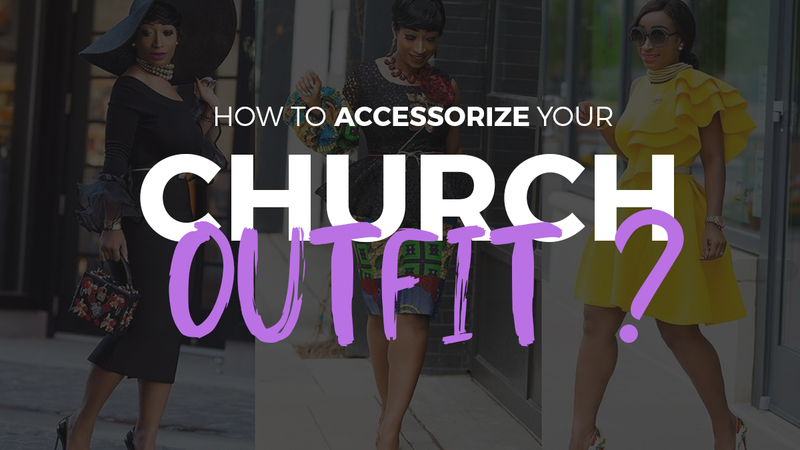 You can keep your outfit nothing short of fabulous every Sunday by learning how to accessorize your church outfit with things you already know but probably haven’t thought about using. 1. Hats : You didn’t think we were going to sideline hats, did you? With all ladies looking glamorous and serene on Sundays there is nothing like the right hat to add a little something for everyone to keep talking about. Wearing hats to church has been a thing for ages, the big hats, the small hats all of it and there is no reason to leave Sunday hats in the past. 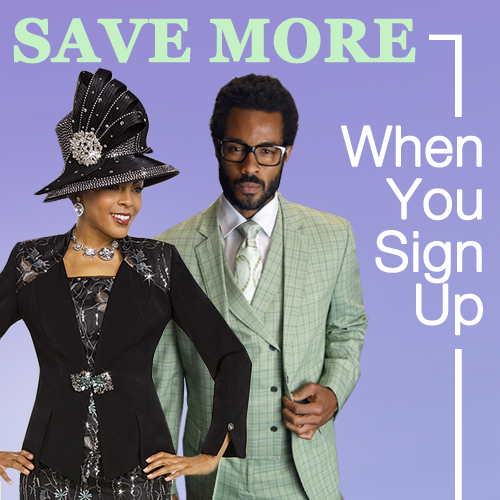 However, you can add a modern touch to yours by stepping out of just the traditional Sunday hats and allowing yourself to explore your options. Whether you are going for a beret, a fedora or a turban, don’t be afraid to explore your options and keep their colors interesting. 2. Shoes : If you can’t figure out the right steps to take, wear the right shoes and it will all fall into place. Shoes are your friend if you want to take any outfit to the next level, you would be surprised how you can switch up your look by only changing your shoes. Normally, because it is a church people tend to go for subtle shoe choices but there is no reason not to step up just because you are trying to be modest. Go for daring colors, beautiful shoe designs, something with a little bit of drama, it must go with your outfit of course. 3. Jewelry : Pieces of jewelry are always great for accessorizing, something to make your look a little or a lot more interesting and you can use jewelry in different ways. If your neckline would allow it, then do not skip the neck jewelry, put some on your wrist or your finger wears some earrings to define your cheekbones and chin line and of course put some jewelry on your hair. Hairpins especially is something that people tend to underestimate, but a good hairpin will make people compliment your hair even if you have been wearing the same hairstyle for the month. 4. A Coat : Don’t you dare cringe at the idea of wearing a coat over your ‘oh so fabulous dress’, this is a reason to be excited about dressing up to go to church during the chilly days, because you can wear your favorite coat. You can go for a full-on trench coat or a small jacket if that is what you would prefer, just know that a good coat can be a great accessory on days when you start to feel like your church outfit looks a little too regular for your taste. 5. The Perfect Purse : Something to match your shoe, something to hold while you are feeling handzy or somewhere to keep all your stuff, a stylish purse is a must for putting together your church outfit. You get the option of going for a clutch or a medium sized to carry all, depending on what look you are trying to pull off. 6. A Detachable Bow : Oh yeah! Have you tried pinning one of these to an old dress and watch how it looks newer? Try to match the bow color with something from the dress that would still pop for patterned dresses and use complementing colors for plain dresses. For a real thrill, try changing the placement of you bow from chest corners or midline corners to see how they fit and decide on the one that makes you beam the brightest. At the end of the day you have different options to accessories your church outfit. Follow these tips and step up your look a notch, and have a tiny corner in your brain screaming Hallelujah! !.